Dr. Shawn Bauldry joins Purdue University as an Assistant Professor of Sociology. He received his PhD from the University of North Carolina-Chapel Hill where he also received an MS in Statistics. Prior to this appointment, he was an Assistant Professor of Sociology at the University of Alabama-Birmingham. His scholarship primarily lies in the areas of applied social statistics and health disparities. His work in social statistics has focused on the development and extension of structural equation models, a general class of statistical models with broad application in the social sciences. His research on health disparities has analyzed multigenerational processes linking socioeconomic resources and health. 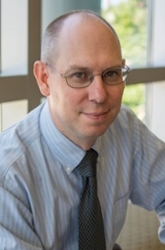 He is currently working on projects examining how adult children’s resources may influence parent’s mortality, racial differences in health lifestyles and how these relate to early cardiovascular disease, and a generalization for longitudinal structural equation models that permit greater flexibility in modeling social processes unfolding over time.